Police Scotland hunt culprits after the attempted murder of two officers. Police are hunting for the occupants of a car that ran down two officers. Detectives in Drumchapel are appealing for information after a driver deliberately drove at two police officers. on Sunday, October 23, around 11.15pm, two officers were responding to a call in Banner Drive. While making enquiries, officers stopped a car to speak to the occupants when it then reversed striking both officers, leaving them seriously injured. Emergency services responded to the incident and both officers were rushed to hospital. The female officer, aged 30, suffered serious injuries and is currently in intensive care. The other officer, aged 31 was also seriously injured. He remains in hospital, while his current condition has not been released. Extensive enquiries are underway with detectives conducting door-to-door enquiries and checking CCTV footage for additional information. The incident is being treated as attempted murder. Anyone with information is asked to call officers at Drumchapel Police Office on 101. 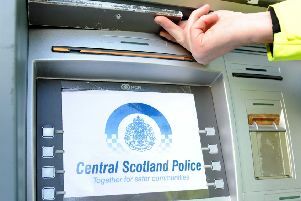 Alternatively, you can call Crimestoppers on 0800 555 111 where information can be given anonymously.